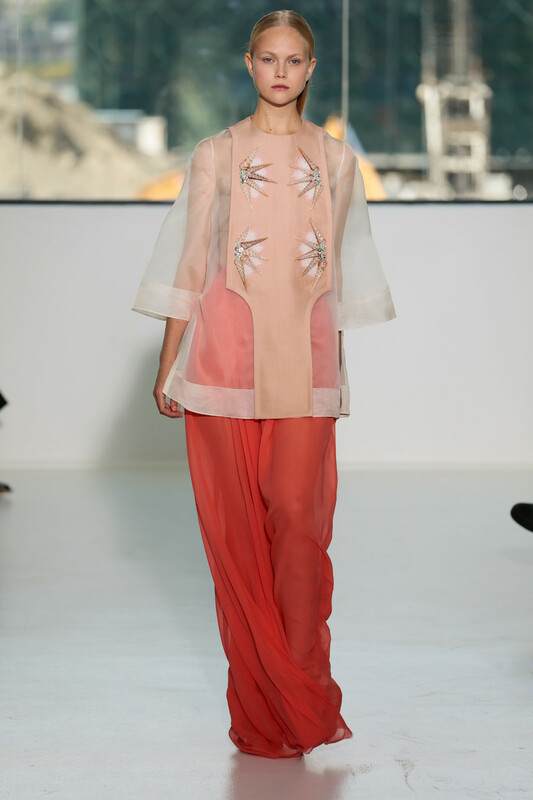 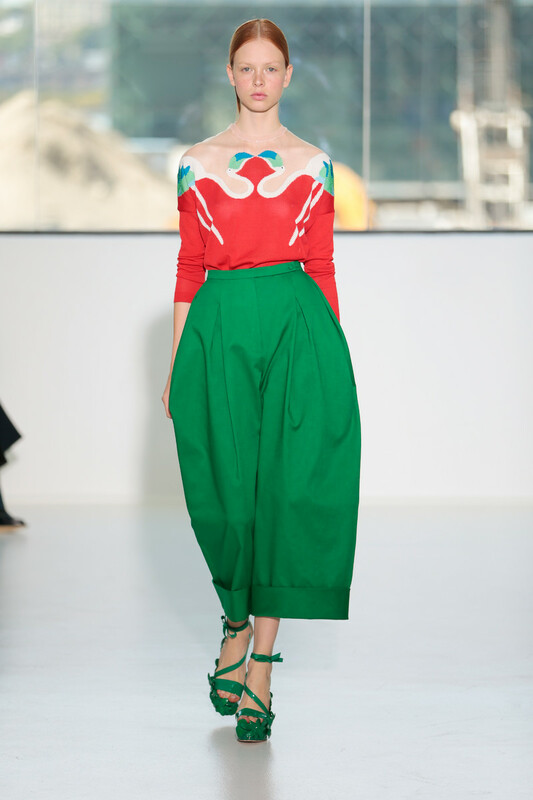 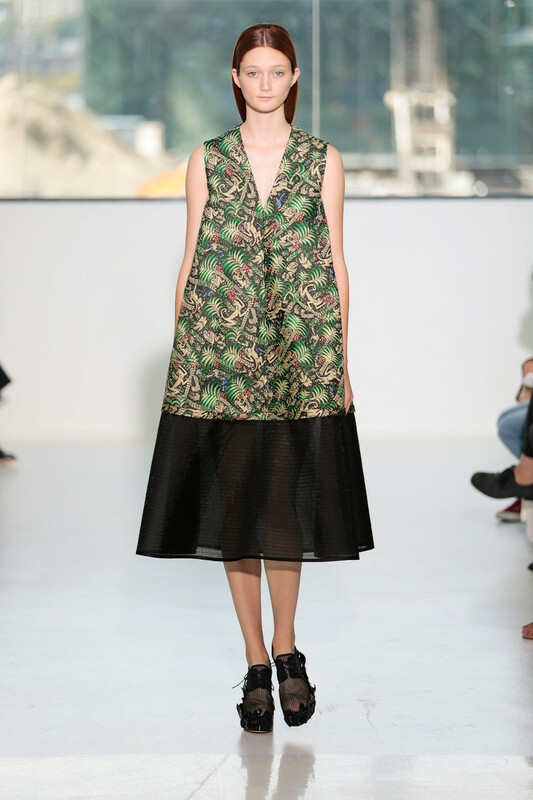 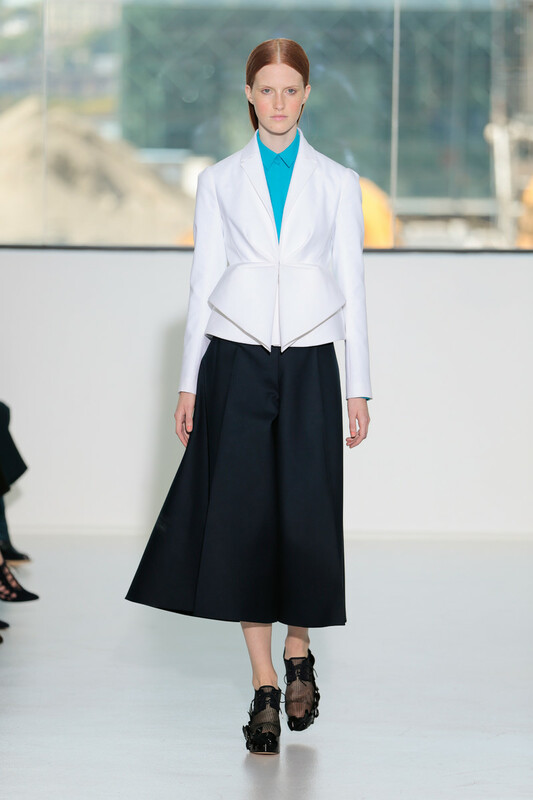 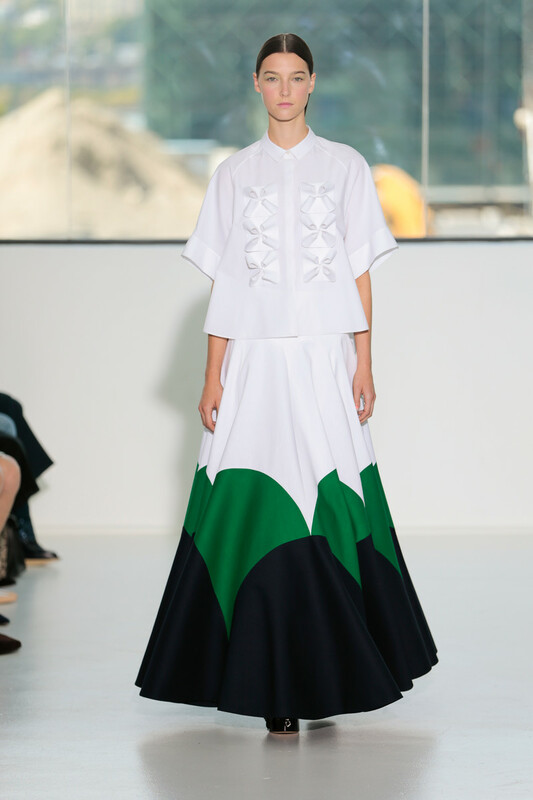 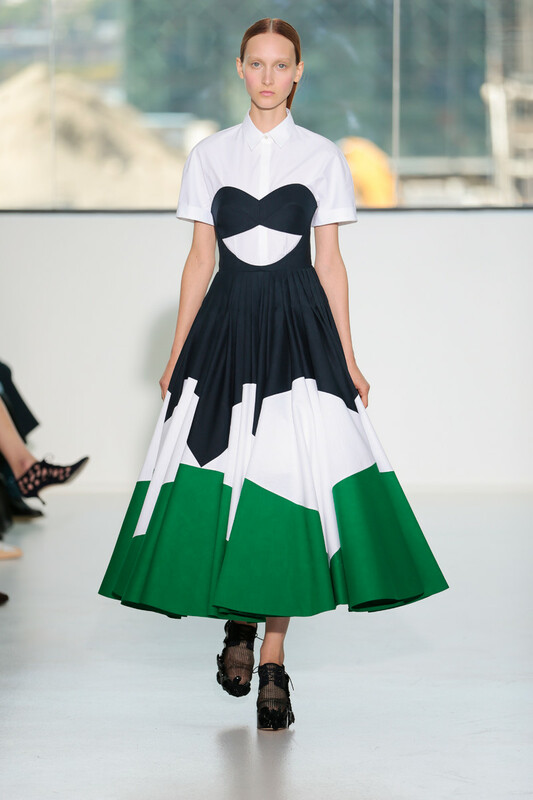 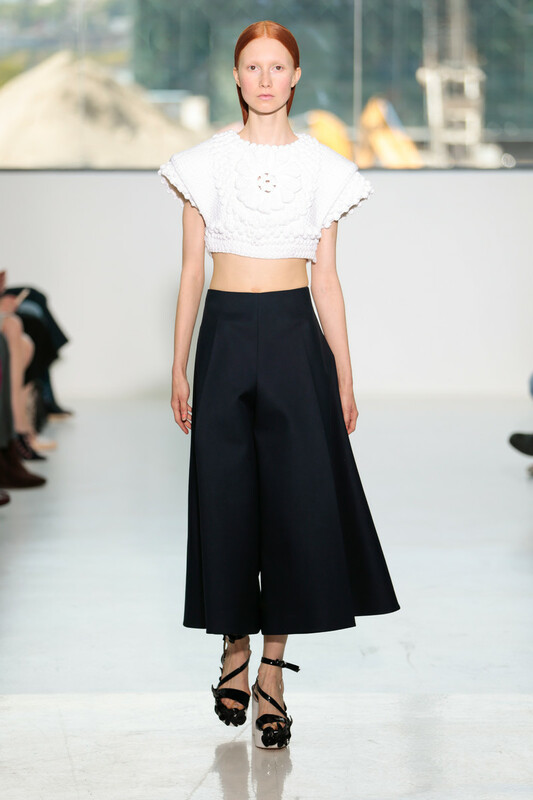 Creative Director Josep Font of the Spanish house Delpozo played with volume, proportion and illusion. 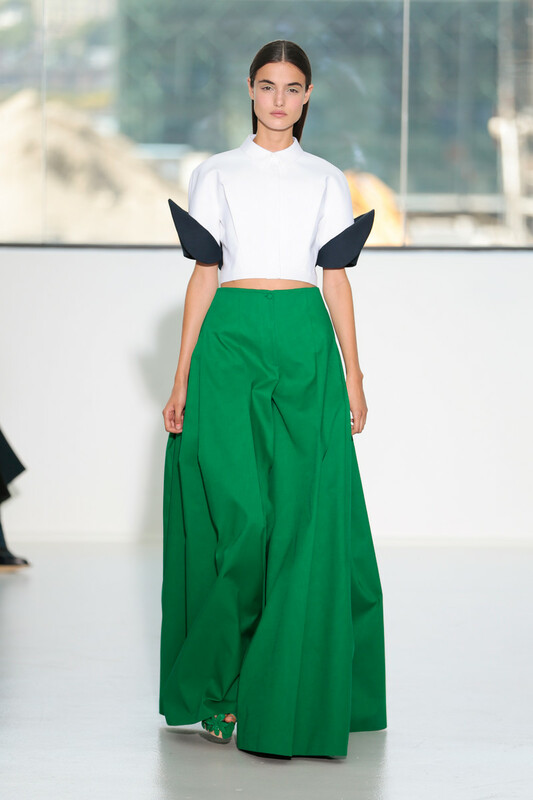 He began with exaggerated sportswear silhouettes: the widest of red culottes paired with a white wrapped bandeau, and the fullest of skirts, beautifully done in a white, navy and green midi strapless dress with a white shirt underneath. 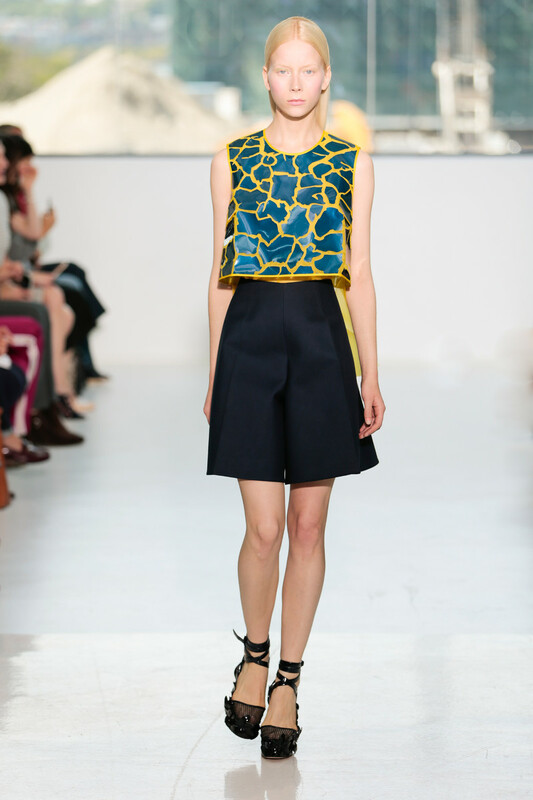 He then shifted gears into more sculptural pieces inspired by the land art of Nils-Udo, including a yellow top with an exaggerated peplum and a sculpted flower on the bodice, and a miniskirt with origamilike panels. 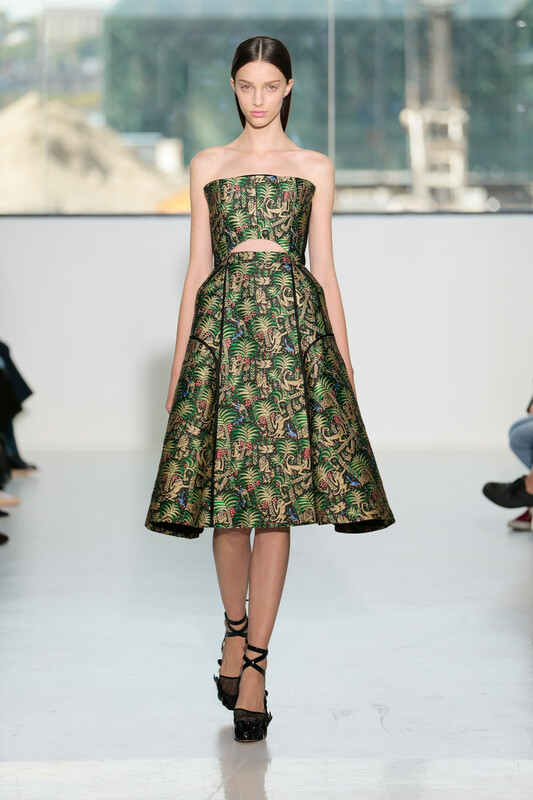 He also paid homage to the 19th-century glass creations of Leopold and Rudolf Blaschka with a green tulle shirtdress embellished with seashells.